Quiet is one of the best support buddies in MGS 5. She's got a great story and there's an epic boss fight to unlock her. In this guide I'll show you exactly how I unlocked Quiet - which mission and the situation required to find her. It's not until roughly 6 hours into the game that you come across Quiet. Until that point she remains a mystery; her name doesn't appear on any mission objectives and there are no other clues to her location. Instead it's a complete surprise when she does appear and what commences is one of the best fights in the game. Quiet is not part of a man mission as such, instead you'll come across her during a Side Op. The exact Side Op is #82 which involves rescuing Dr Emmerich. 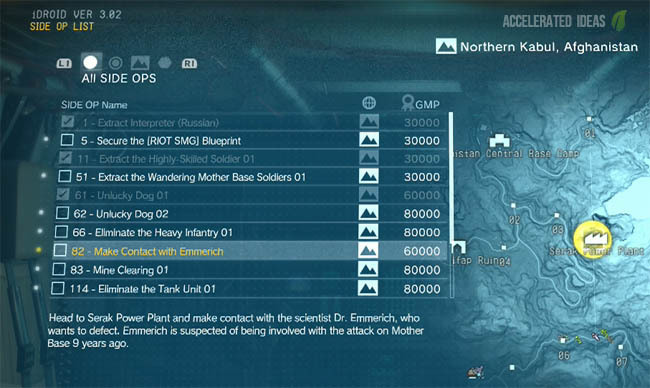 This Side Op is not available until you complete all of the main missions for Afghanistan, so thats numbers 1 - 10. Side Op #82 takes you to the Northern half of Afghanistan and Kojima designed the map in such a way that there's only one road leading to the northern half. Along the way you have to pass by a place called Aabe Shifap Ruins; a deserted and ancient ruin. It so happens that this place is the perfect spot for a sniper! Upon arrival at Aabe Shifap Ruins, a cutscene plays and Quiet makes her grand entrance to the game. I'm not entirely sure if there's a choice at this point in the game but I chose to engage with Quiet to try and eliminate her. There may be an option to try and avoid this BOSS fight and complete the Side Op but that's not something I tried. It was at this point that Main Mission 11 called "Cloaked In Silence" automatically started and I was playing a game of cat and mouse against Quiet. The objective of this mission was clear - "eliminate the sniper" but the method to achieve this was certainly unique. At this point I was on a great 1vs1 boss fight which I won't spoil here but it's certainly one to remember. If you successfully knock Quiet's health bar down to zero, the game gives you the chance to capture or kill her. I'm not sure if you can really kill her, but the game appears to present a choice through its dialogue with Miller. In my case, I chose to capture her and take her back to Mother Base. From here a truly special cutscene takes place aboard the chopper and the bikini sunbathing easter egg becomes available on Mother Base. Although you unlock Quiet from Afghanistan it isn't until the early Africa missions (mission 14+) that she's actually usable in the field. In my game experience, she appeared at the landing zone ready to join for Mission 14 but Miller and co interfered, forcing her to stay behind at base for longer. This may also be important: I listened to each of the Quiet cassette tapes which explained the events following her arrival at Mother Base. 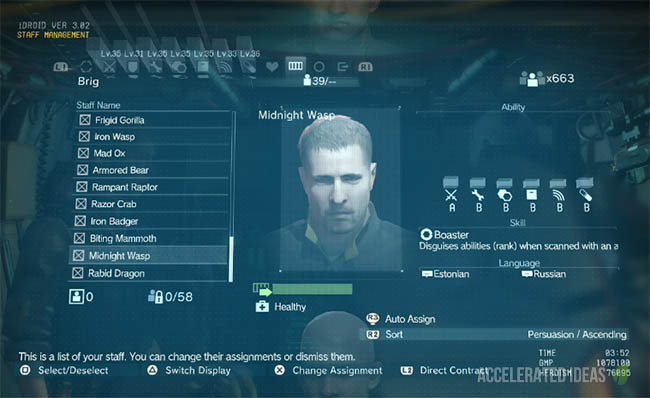 These include some references to Quiet being ready to follow Big Boss on field missions. I then proceeded to complete Mission 14, returned to Mother Base and visited Quiet's cell again. 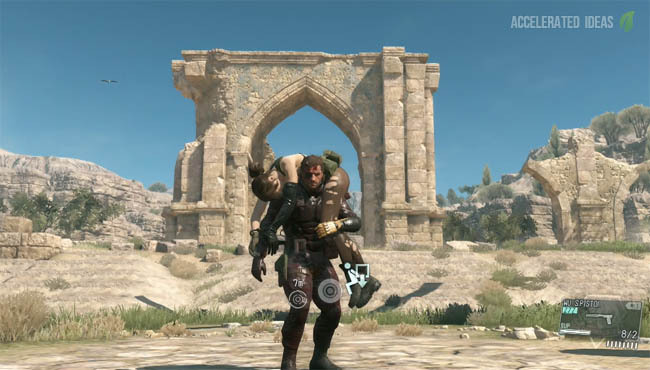 This time Ocelot was waiting and he suggested that I take Quiet on a mission. At this point Quiet became a buddy from the loadout screen.